Okay, I am going to try not to gush. 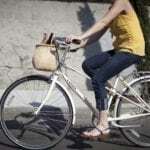 But I’ll tell you upfront, the Electra Townie 7 D Step-Through Cruiser Bike is one of my all time favorite bikes. Certainly there is no bike out there that is more comfortable that the Townie. It’s the flat foot, step through feature that everyone loves. You sit up straight, and when you come to a stop, you can place both feet on the ground. The saddle is huge and cushy–I know of no other brand with a saddle this big and comfortable. Everything about this bike is top of the line quality, this bike is extremely luxurious and I can’t imagine it getting better than this. I like to have some sort of cargo containers on my bike and Townie makes a really great rear rack and Low Profile basket that I highly recommend. Front baskets are great too, but the rear basket is completely out of the way and doesn’t interfere with balance at all. Sometimes, if I put something heavy in a front basket, it throws me off a little bit. They also tend to ding up the paint in my experience, when you turn the wheel too far, so that is something you don’t have to worry about with the rear setup. 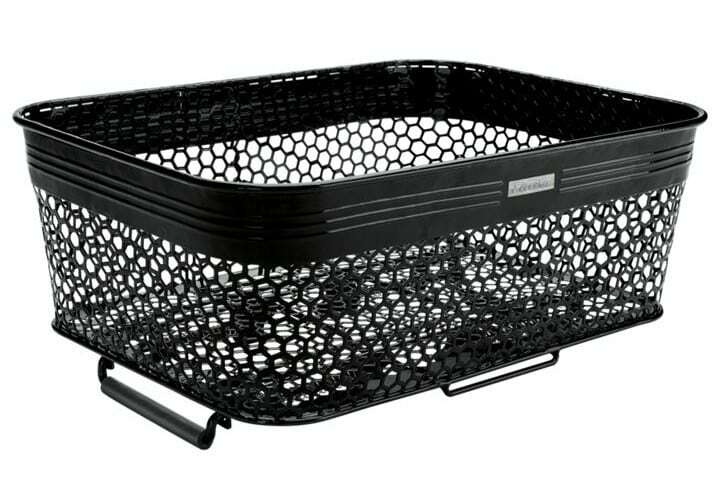 This basket is low profile, hence the name, and shallow, but holds plenty. 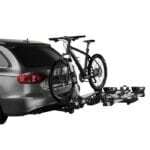 You can easily fit a beach blanket, water bottle, food, bike lock, and small bag with your valuables with space to spare. I’ve used it for groceries too. 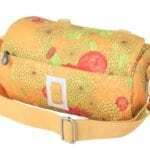 It comes with a cargo net to hold everything in place and comes off easily with a quick release system. 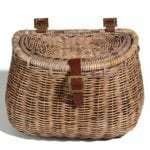 I’m using this basket with the beefy Ally Rear Rack, which I think is a necessity. This is a bike you want to ride all the time, and you want to use it for transportation as well as fun. You want it to be as functional as possible. 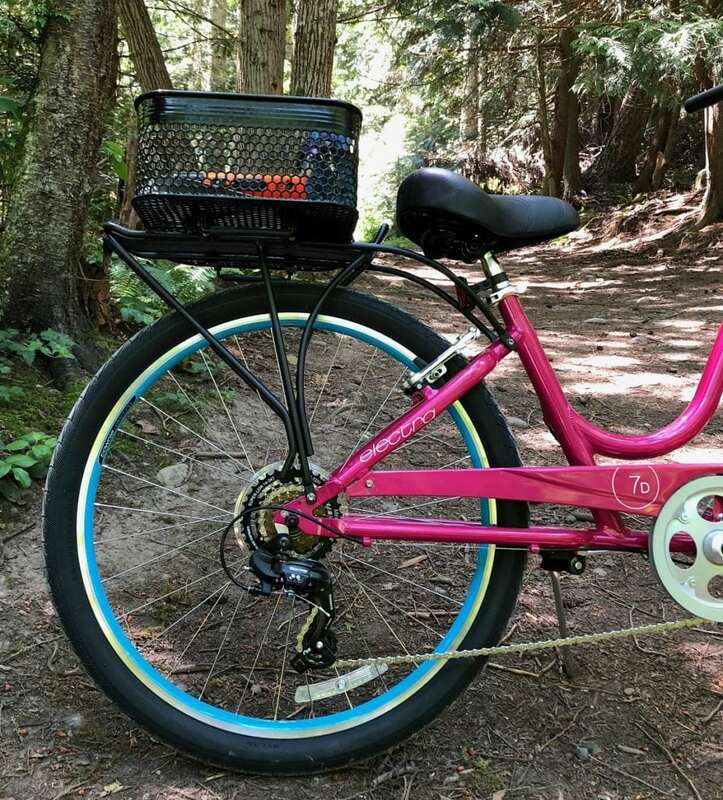 You can personalize your townie with a myriad of accessories from handle bar streamers to fun bike bells. It’s so fun to trick your bike out with flowers and colorful air valve caps–all kinds of fun stuff. It’s appropriate that a bike that so resembles the bikes of our youths has goofy, humorous accessories. 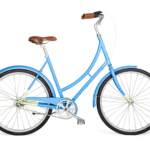 The Electra Townie 7 D Step-Through Cruiser Bike is so comfortable I never get saddle sore, no matter how long I ride. It handles beatifully on the road, and great on trails and gravel roads. I’ve taken it on some pretty bumpy terrain and it did just fine. Everything stayed in the basket and I felt totally in control. 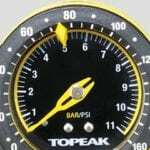 The seven speeds work for me just fine. As for hills–this bike handles them as well as my bikes with higher speeds. My thoughts on hills is that handling them is more about who’s peddling than the bike. For me, anything short of an e-bike is not going to be able to give me much of an edge on the kind of hills in my neck of the woods. I’m not a fan of the hills period, but I don’t bother with more complicated bikes because of them. 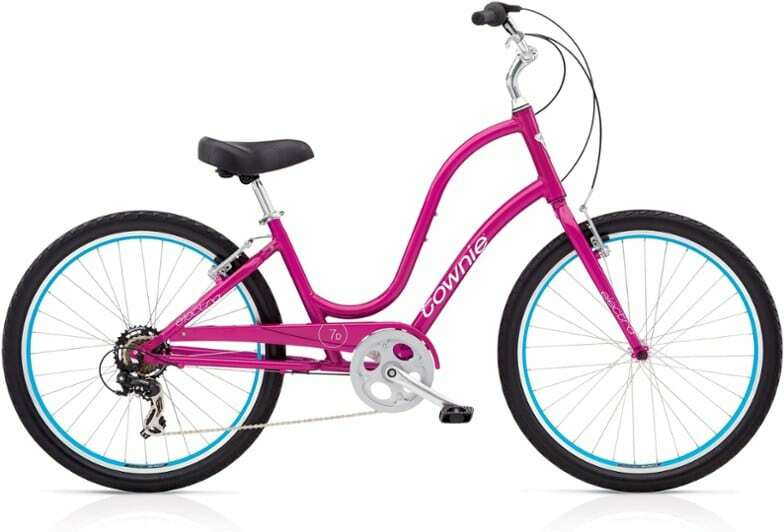 This bike comes in a bunch of different colors, but I am loving this hot pink with bright blue rims. It’s so pretty! How could you not get the thrill of a kid on a bike riding this? It’s old school but better. 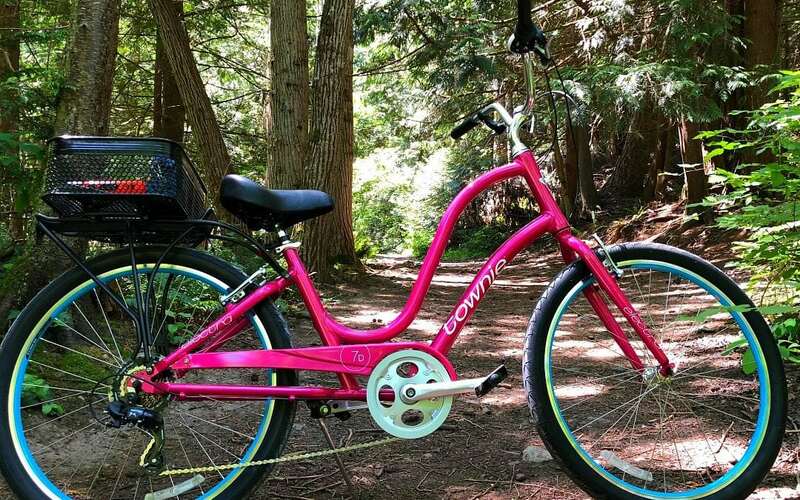 Find the Electra Townie 7 D Step-Through Cruiser Bike HERE.